Let me set the scene. It’s 1966 in a Clint Eastwood movie where the two of you meet eye to eye in front of a saloon, the tension rises, you want to take the first shot but instead, you play the good, while the customer is the bad and the ugly! Everything from someone coming in two minutes before close (because face it – you have no life!) or the customer who insists on taking a call while you serve them, we’ve all been there! 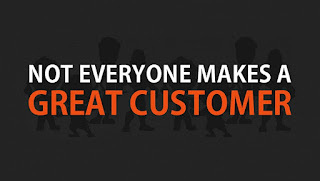 It takes a lot of patience to handle the array of customers that we are confronted with on a daily basis. It takes super powers! But don’t get mad – get to laughing. 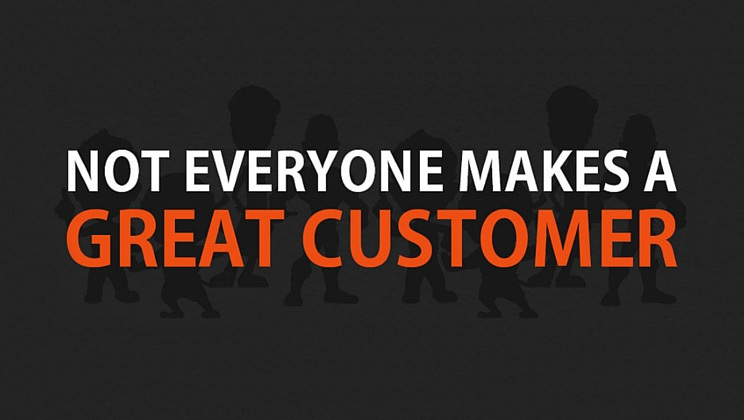 We have collated a list of the most common personalities who ‘do not’ make the greatest customers, for a little fun. Then there’s the ninja who envies you so much that he wants to be you. He’s like your apprentice, posing as a customer to learn more from you. Slightly more frustrating is the one who is the greatest of all hagglers, he treats your company more like a Sunday car boot sale than actual established business. Just breathe! And the baddest, ugliest one of them all, the very vocal customer. He’s angry, he’s loud and you’re going to hear about it. We share with you this fun infographic of some of the most challenging customers and strategies to help you cope. As always, please let us know your comments or any questions on Twitter (@thewebsitegroup ← Click to Tweet Us).